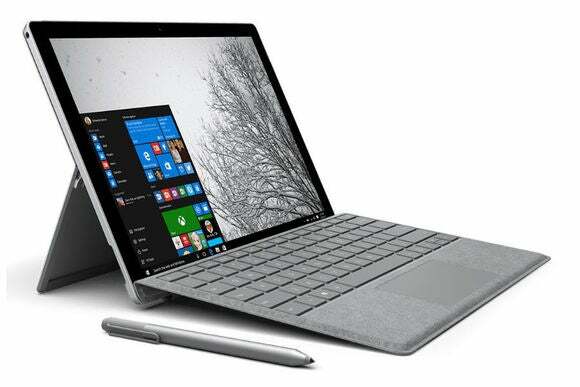 Microsoft is now selling a premium version of its Surface Pro 4 Type Cover for those who demand extra sophistication from their attachable keyboards. The $160 Surface Pro 4 Signature Type Cover is functionally identical to the standard keyboard covers Microsoft sells for $130. (It also works with the Surface Pro 3.) The only difference is that the Signature version is covered in Alcantara, a suede-like material made from polyester and polyurethane. The Signature cover only comes in one color, a “stunning two-tone grey mélange” that “ages beautifully, growing richer and darker over time.” Microsoft’s standard covers, meanwhile, come in black, blue, bright blue, red, and teal. Why this matters: Over-the-top descriptions aside, the idea of a premium Type Cover isn’t too outrageous given that Microsoft already lets Surface users deck out their tablets with different-colored covers. Still, those who value function over form might want to spend their money a black Type Cover with a built-in fingerprint reader, which has the same $160 price as the Signature cover. It may not bring an “unparalleled level of design and sophistication to everything” like the Alcantara-clad cover does, but it’ll help you unlock your PC faster.